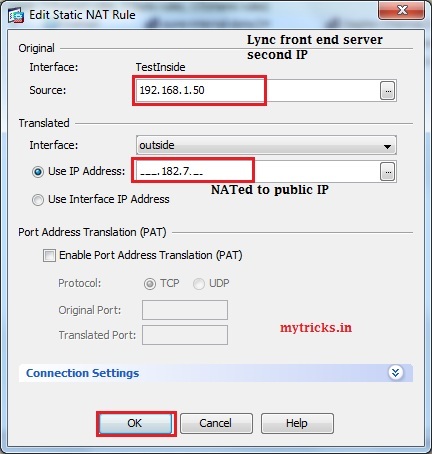 A reverse proxy server such as Microsoft Forefront Treat Management Gateway 2010 or ISA Server 2006 is recommended to publish the External Web Services on the Lync Front end server to the Internet while protecting the server from attack. However, it is possible to use a Firewall to allow the traffic through to the Front End Server. Using Lync without a reverse proxy is possible but not a supported deployment method by Microsoft. I am usening Cicso ASA 5510 Firewall. 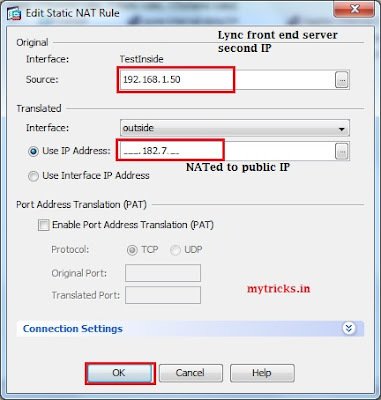 I am able to connect my Lync Front End server from Internet via Edge server. All in place now just need to expose Simple URL’s & External Web Services. While installing Lync it creates two web sites such as “Lync Server Internal Web Site” and “Lync Server External Web Site”. Each website is configured for either internal or external access. The internal site is published on ports 80 & 443 & the external site is published on 8080 & 4443. As per Microsoft’s documentation you have to use a reverse proxy server to publish the external simple URLs and External web Services. 8. Now we need to allow “HTTPS” for all outside users to access Simple URL’s & Web External Services..